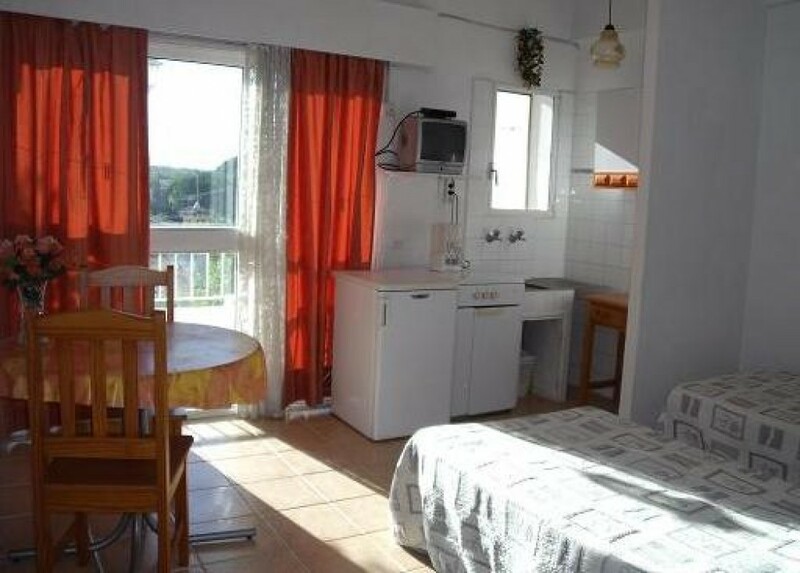 STUDIOS for 1-2 persons with : kitchenette (fridge, microwave oven, gas cooker, electric coffee maker, dishes) , terrace,bathroom , TV, safety box , ventilator or heater. TOP FLOOR studios plus 30 € monthly to the intermediate floor rent. Only 1 month 390 € . Extra equipped : Top floor studio with air conditioning-heating and 19" LCD TV . Evening sun terrace. 135cm double bed. One month 390€ . few months contract 340€ monthly. $ DEPOSIT _ GUARANTEE : usually is 1 months rent , in smaller contacts less. This is returned , minus electricity , gas costs and possible extra cleaning costs ; AFTER getting back the keys and checking the studio / apartment and its contents . In morning /night / weekend/festive departures it will be returned by bank transfer .